Before applying for a loan and certainly before ever making an offer on a house, you should know your credit score. Why is your credit score important? Well, it’s not only the difference between getting a low-interest rate on a home loan versus a high one, but it will also directly impact how much a bank or lender will actually loan you. There are several websites you can use to check your credit score, here are a few to consider: TransUnion, Equifax, Experian. Unless you want to pay Private Mortgage Insurance (PMI), you really want to save up for a sizable down payment. PMI is an added insurance charged by mortgage lenders in order to protect themselves in case you default on your loan payments. The biggest problem with PMIs for homeowners is that they usually cost you hundreds of dollars each month. Money that is not going against the principal of your mortgage. How much should you save for a house? Twenty percent down is typical with most mortgage lenders in order to avoid paying for PMI. 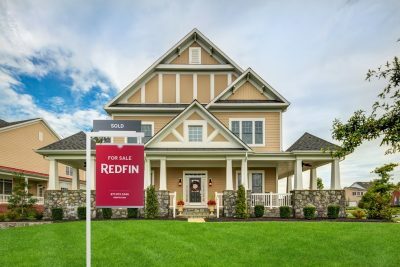 However, there are other types of home loans, such as a VA loan if you have served in the military and qualify, that may allow you to put down less than twenty percent while avoiding PMIs altogether. What if you have a job with an irregular or inconsistent pay schedule? People with jobs such as contract positions, who are self-employed, or have irregular work schedules can still qualify for a home loan. A mortgage known as a ‘Bank Statement’ mortgage is becoming rapidly popular with lenders as more self-employed or what has been referred to as the ‘gig economy’ has taken off. Why are small hikes in interest rates so important to you? To put it into perspective, even a one percent increase in your interest rate on a home loan is the difference of paying or saving tens of thousands of dollars in interest payments on your home loan over time. There are a few things to keep in mind when researching a mortgage lender. The first thing that comes to most people’s’ minds is what mortgage rate can they get. You may have to shop around to find the best rate because lower the rate the more money you save. When being approved by a mortgage lender, you should be aware that there is a small but relevant difference between the typical fast preapproval for a home loan versus an underwritten pre-approval. There are many variables to think about when researching your future residents. The key to beginning your research is to determine those variables most important to you. Are you looking for a good school district, a large house, convenience to commuter options, or a specific neighborhood that is extremely friendly and ranks high on Walk Score? There are numerous variables to consider and hopefully, your knowledgeable real estate agent will help you through this process. Understanding the market conditions, how houses have been selling in the neighborhood and at what price (above or below asking), and knowing if there are other competing offers will help you assess and determine how you’d like to make an offer.